A native of South Carolina, Dr. James Elmore attended the University of South Carolina as an undergraduate, making him a lifelong Gamecocks fan. After receiving his medical degree from the Medical University of South Carolina in Charleston, Dr. Elmore completed his internship at Eastern Virginia Medical School. Entering the Medical College of Georgia in Augusta for his residency, Dr. Elmore became a Diplomate of the National Board of Medical Examiners. 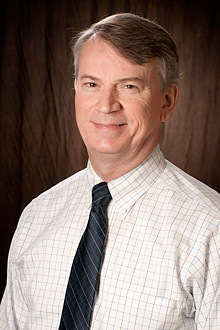 Dr. Elmore is a Diplomate of the American Board of Psychiatry and Neurology, and is a member of the American Academy of Neurology and the Medical Association of Georgia. A voracious reader of literary fiction, Dr. Elmore counts Georgia author, Flannery O'Conner, as one of his favorites. Having honed a lifetime appreciation for nature and its beauty, Dr. Elmore enjoys working in his yard and spending time on his land in South Carolina. From dissertations to cooking shows to business presentations: Our space accommodates your needs.